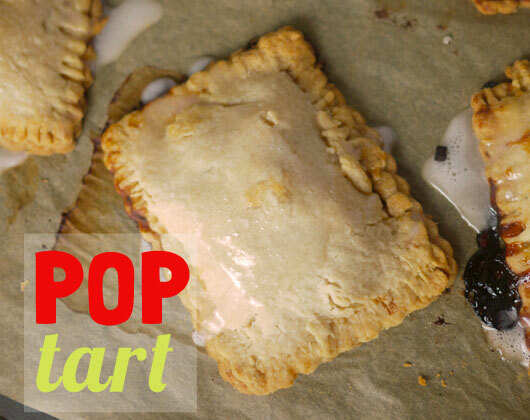 Stacie of One Hungry Mama calls these pop tarts but we hungry pie fans know what they really are: hand pies! I have to say, I love hand pies. Not the packaged kind you find in gas stations so much but good, homemade hand pies are a work of art. They pack all of the deliciousness of a pie in a neat(ish), convenient package that, as Stacie points out, can be popped into a lunch bag or even the freezer for future consumption. Who wouldn't want a stash of homemade hand pies waiting for you whenever you got a yen? No one I'd like to know. What really sets these particular hand pies apart is the glaze. I see so many hand pie recipes that skip the glaze and it is a true shame. It adds a bit of crackly sugary pop similar to coating you find on the aforementioned gas station pies but so much better. Snag the recipe at One Hungry Mama.